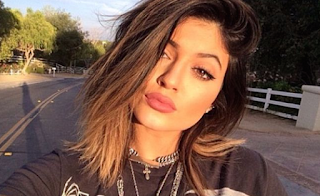 Kylie Jenner disses her fans at the launch of her Topshop collection at the The Grove. Kylie Jenner is getting some serious backlash for the way fans say she acted toward them at the June 3 launch of her and her sister Kendall Jenner’s new collection with Topshop. Hundreds of fans gathered at The Grove in Los Angeles, California, to get a glimpse of the sisters as they celebrated the release of their new Kendall + Kylie collection at the trendy retailer. “Kylie made no effort to interact with her fans,” on eyewitness told OK!. If they're stupid enough to her 'fan', they deserve whatever they get.